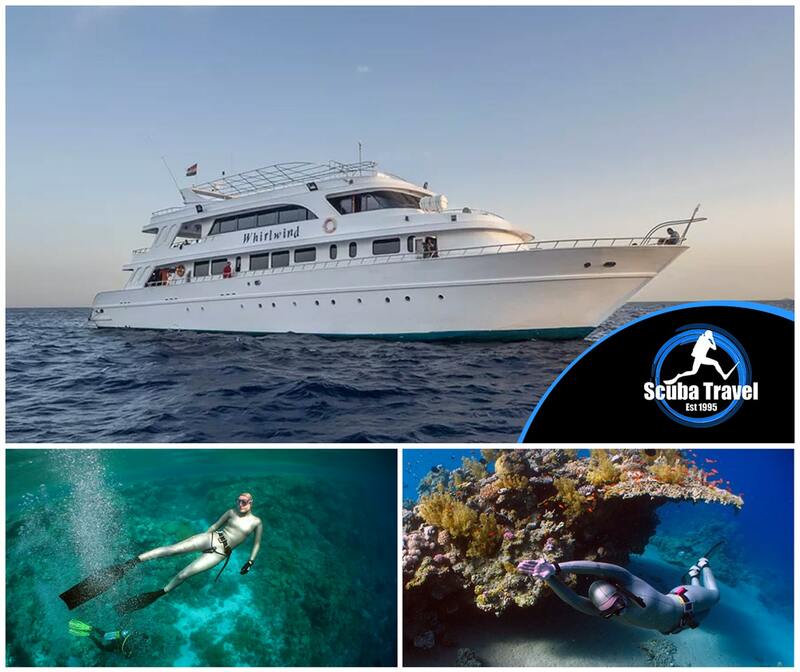 This is a new, more relaxed itinerary in the Northern Red Sea for freedivers with Emma Farrell. Emma will be offering yoga morning and evening suitable for all levels even complete beginners. RAID courses will be available during the week for an additional charge. Level 1 is mandatory for novices. All marine park fees are included and freediving sessions will be run for certified divers – please prebook courses and kit hire before travel. Flights are with Thomas Cook from Gatwick and transfers are also included. At the end of the week, you will have day use of a hotel and buffet lunch while you wait for your flight home. All trips are fully guided with two expert guides plus Emma Farrell onboard to help you get the most out of this holiday. Excluded are the Egyptian entry visa, alcohol, additional kit hire and any onboard souvenirs. Please let the team know if you have any dietary requirements. Come face to face with pelagics in the Southern Red Sea and save £200 with this amazing early bird offer. 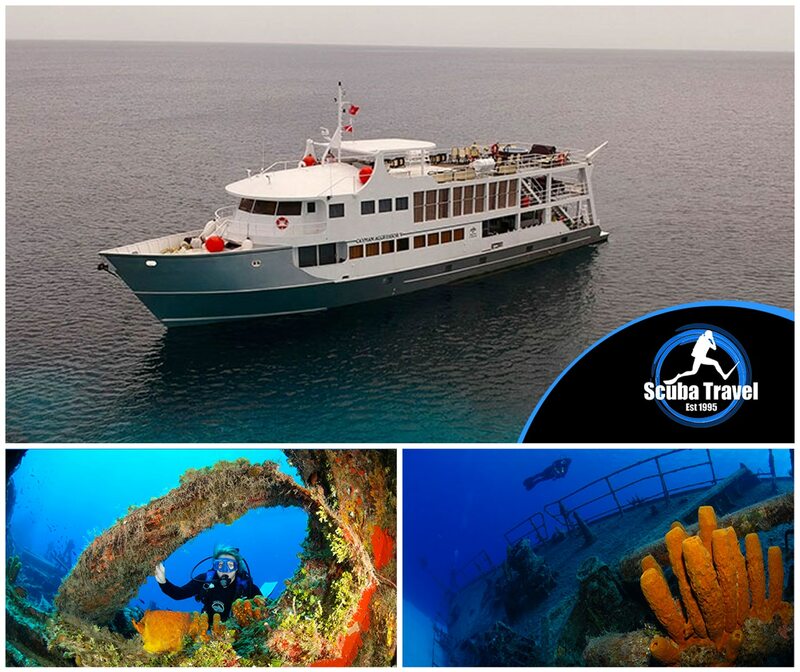 Dive with the most experienced team, on board the stable steel hulled Hurricane. Avoid long transfers with a direct flight to Marsa Alam. All trips are fully guided with two expert guides. Flights are with Thomson/Thomas Cook from Gatwick and transfers are included. At the end of the week, you will have a day use room and lunch at a hotel while you wait for your flight home. The only costs not included are the Egyptian entry visa, alcohol, additional kit hire and any onboard souvenirs. SAVE £200 PLUS FREE ROOM UPGRADE (depending on availability) on selected dates. Discover macro, muck magic and the turtletastic Apo island with the brilliant team at Atmosphere resort. Enjoy 7 laid back nights diving in the heart of Dumaguete plus 1 night in Manila. 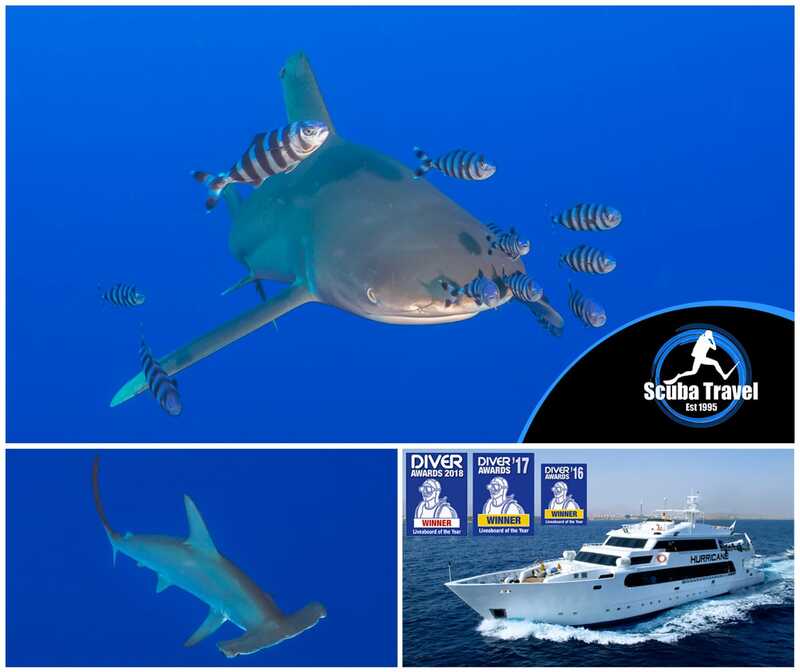 The unlimited diving package packs in up to 5 dives a day including night dives for 5 days, plus free nitrox and prepaid park fees. Your accommodation package includes 7 nights on a B&B basis in a deluxe suite (2 people sharing) – half board and full board upgrade plans available. You also have free internet access. 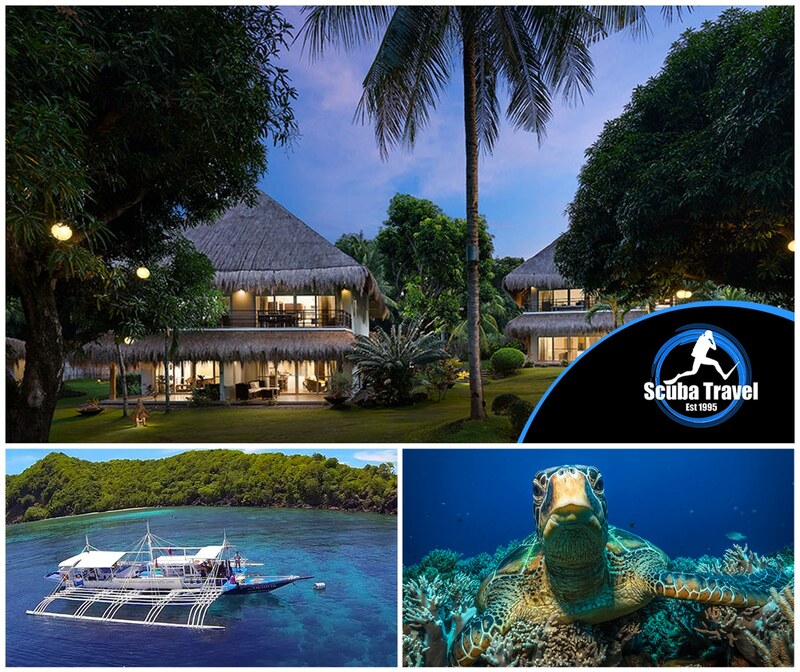 Special dives (Apo island, mandarin, night dive and dives with the resident marine biologist), kit rental, spa services, land excursions are all paid in resort. Flights are available with a number of airlines from a variety of regional departure points. Airport transfers are included. Excluded are any excess baggage charges and the Philippines departure tax (750PHP). Please note the final trip cost will depend on flight availability at the time of booking and seasonal resort rates. Save £250 on selected dates. Great value diving in Manado and, Bunaken Indonesia. 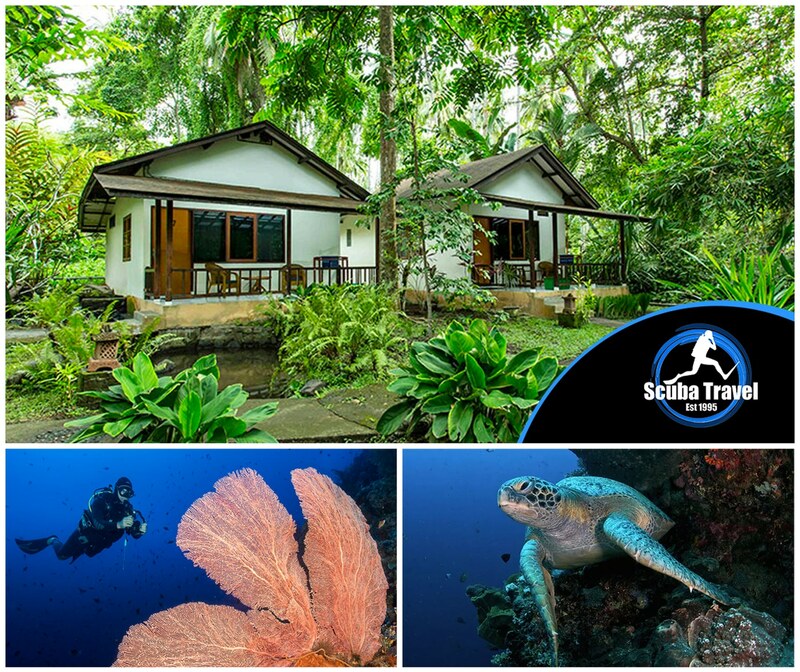 Over 15 boat dives, discover rich coral reefs and magical macro with the welcoming team from Murex Manado. Your holiday includes flights from Heathrow to Manado with Singapore Airlines, airport transfers and 7 nights garden view bungalow on a full board basis (2 people sharing). Local taxes are prepaid. Water, tea, and coffee are available free of charge. 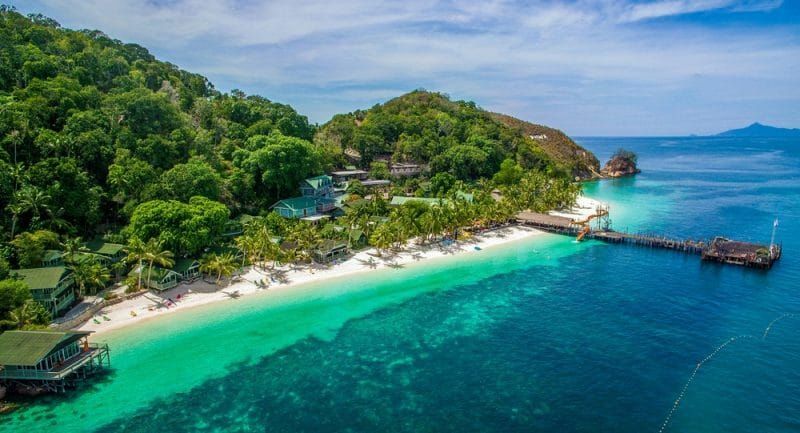 To pay locally are any drinks not included in your board basis, laundry, land excursions, Diving extras such as special trips to Bangka, private guiding, kit hire, courses and nitrox will all be billed in resort. UK passport holder can obtain a FOC visa on arrival. Visit the Cayman Islands and save £600! 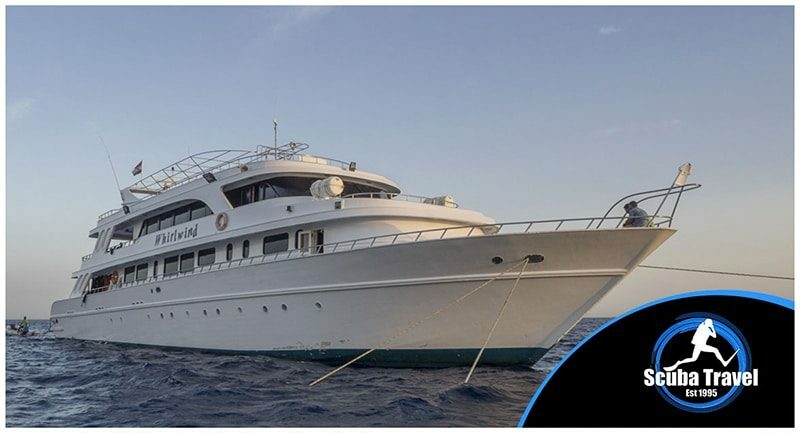 Why dive only one of the Cayman Islands when you can do all three in one single stunning liveaboard cruise with the Cayman Aggressor with up to 5 dives a day! Your Aggressor package includes 7 nights on board on a full board basis (twin/double share cabin) – cabin upgrades available. A 12lt tank and weights, soft drinks and a selection of local alcoholic drinks are included in your package. There are 5 dives a day on offer and 2 on the first and last days. All trips are fully briefed by expert guides. There is a $45 port fee per person to pay onboard ($108 for 10 night trip and $75 in 2018). Excluded are departure tax, nitrox, additional kit hire and any onboard souvenirs. Dinner on Friday night is not included. This holiday excludes international flights to Grand Cayman GCM. We are able to add flights with a wide range of airlines, including regional departures. Book your spot now for only £1725 (exc. flights).